On 6 October, Blue Fish Europe launched its Come on Board! Campaign in Vigo. The campaign kicked-off with a visit of the trawler boat “Pescaberes Tres”. Thirty-five meters long and with a crew of ten, “Pescaberes Tres” operates in the Atlantic arc (Gran Sol), mainly along the coasts of Ireland and England. 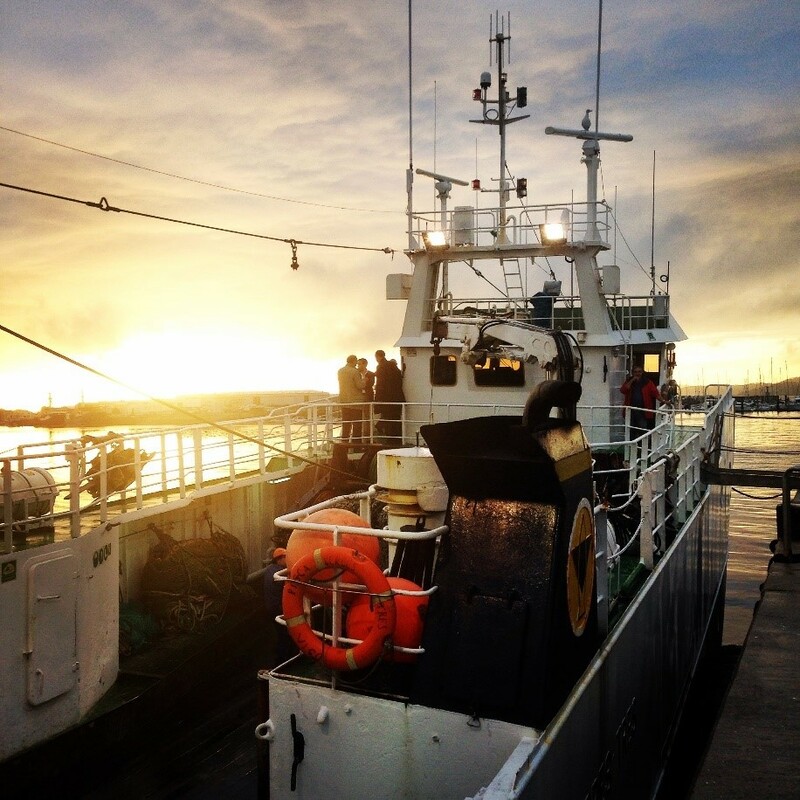 Participants were able to tour the four-deck boat and get a feel of how fishermen live at sea. They also met with fishermen and learned from their experiences. Often at sea for two or more weeks, the fishermen explained that they lead a shared life which could at times become tough, especially when they meet sea storms. They explained that in case of any storm or mishap, the boat has an emergency room which has a direct line of communication with the Hospital in Madrid. Also, every 5 years, fishermen have to attend a health and safety course. Bottom trawlers such as “Pescaberes Tres” have a maximum capacity of 175 tonnes, and they mostly fish monkfish, hake, octopus, ray, squid, flounder, mackerel, mackerel, ling, and pollock. They count their catch with the most sophisticated equipment designed to protect the marine ecosystem that they operate in. The mouth of the trawl is usually comprised of a headline and ground rope. It is designed and rigged to catch species living near the sea bottom while causing the least possible harm to the marine seabed. The next Come on Board! event will be organized in December in Nantes. Stay tuned for the exact date and time!